World Indoor Champion and World Championship Bronze medallist Hellen Obiri (KEN) showed she also has pedigree over the country as she took victory in the highly competitive Kenyan Defence Forces race. 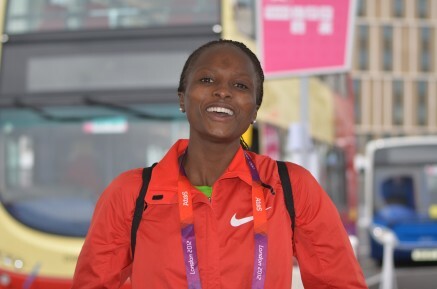 Held at the Moi Air Base in Nairobi, Obiri chose not to rely on her superior track speed and showed that she is wintering well pushing away from the field over the latter stages of the 8km course to take victory by 15 seconds. In the mens race there was a return to form from 2010 World Cross Country Champion Joseph Ebuya (KEN) who finished sixth. At the Cross Internacional de Italica in Seville, Timothy Toroitich (UGA) and Emmanuel Bett (KEN) both contributed to an excellent race at the head of the field. Ultimately Toroitich finished second and Bett third to conclude a successful sequence of three races for the two in which they have never been off the podium. Over in the US, Shannon Rowbury (USA) and Jordan Hasay (USA) both stepped down in distance to open their indoor campaigns at the University of Washington Indoor Preview meet. Racing over 800m Rowbury finished fourth and Hasay fifth. Mark Lewis-Francis (GBR) recorded the fastest time in the heats of mens 60m at the Reykjavik Indoor Games but did not contest the final.